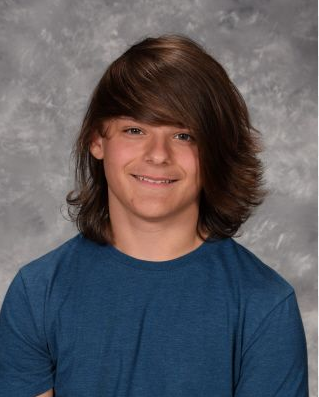 Alexander Blinky is a sophomore at Lakewood High School. He is being recognized for his amazing talent and technique on the ice. Alexander is such a hard worker on the ice. He is a stellar athlete. Alexander plays varsity hockey and he is one of the best out there on the ice. Q. What is your favorite part about hockey? A. The pace of the game. I love being able to skate up and down the rink and having to keep up with the pace of everyone else out there. It is a rush. Q. What is your favorite memory about hockey? A. My favorite memory is winning the division freshman year. It is one I will never forget. It was a well-deserved accomplishment for us and the school. A. Alex Ovechkin because he’s a special player on and off the ice. He inspires many people to play the game they know to play. He has impacted many people’s lives and has pushed many to be the best they can be whether it is on an ice rink or anywhere else. Q. How long have you been playing hockey? A. I have been playing hockey for 6 years and I’ve loved every moment of it. Q. Why did you pick hockey? A. I chose hockey because I wanted to play a unique sport. I also wanted to play a sport no one really talks about. A. I plan on playing for a club college team.